Should you get a real Christmas tree or an artificial Christmas tree? There are benefits with both, but artificial Christmas trees have many advantages over the natural type. They are reusable, they don’t cover your carpet in needles, they’re less flammable, and they don’t bring mould, pollen, or pests into your house. An artificial Christmas tree is a long-term investment. A well-made, well-maintained tree can last up to 20 years, or more. So it makes sense to gather as much information as you can and shop carefully before making a purchase. Christmas trees are assembled in one of two ways: hooked or hinged. On a hooked model, the branches must be attached individually to the centre pole, and detached for storage once Christmas is over. A hinged tree has the branches permanently attached. They fold out of the way for storage, so you need only put the centre pole together and open up the hinges to get the tree ready. Hooked models are generally cheaper, but they also mean more work, so know what you’re getting yourself into. No matter how much space you have for a tree, you’ll be able to find one that matches your needs. 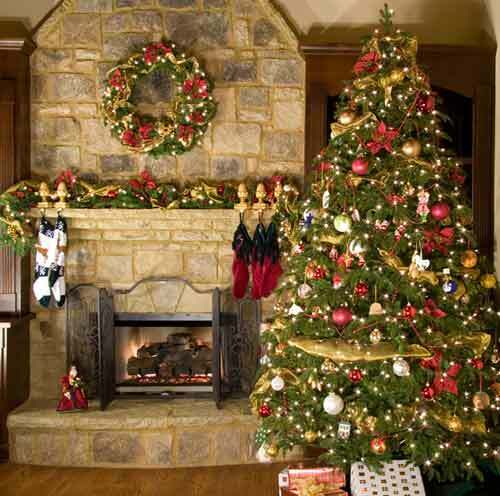 Artificial Christmas trees are available in many different heights and diameters. Heights of 6 or 7 feet are the most common, but you can find trees anywhere between 3 and 12 feet tall. Widths are described as either full-width (the diameter of a natural tree), slim, or pencil. Artificial Christmas trees are available in a variety of styles to imitate many different types of evergreen trees. So you can find one that matches your ideal of a Christmas tree. For the classically Christmas winter look try a tree with frosted needles. White trees are a popular and striking alternative to the traditional dark green, and provide a bright backdrop to the colourful Christmas lights and ornaments. If you find installing Christmas lights frustrating, then a prelit Christmas tree will ease your frustration. Prelit trees are available with single-colour and multicoloured lights. While traditional incandescent bulbs still predominate, more high-tech lighting solutions are available. Trees with LED lights last longer, produce less heat, and use less energy, so will save you money in the long run. Fibre optic trees are also available, and can produce unique and brilliant colour-changing effects. Artificial Christmas trees are the long-lasting, mess-free, low maintenance, no-fuss alternative to real Christmas trees.